Obituary – Dalrymple, Kenneth Wayne « Perry High School Alumni Association, Inc.
﻿Kenneth Wayne Dalrymple, 70 formerly of Perry, Oklahoma was the son of Don and Hazel (McMullen) Dalrymple. He was born May 2, 1932 in Perry, Oklahoma and died October 17, 2002 at Huntington Memorial Hospital in Pasadena, California. He married Willa Groneman on June 20, 1954 in Garber, Oklahoma. He was a veteran of the Korean War having served in the 45th Infantry Division, 179th Infantry Regiment, Company I. He was a member of the First United Methodist Church of Pasadena, California. 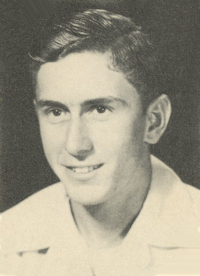 He was a 1952 graduate of Perry High School and attended Oklahoma State University and Okmulgee Tech. He worked for Waukesha Engines in New Mexico and Wyoming. 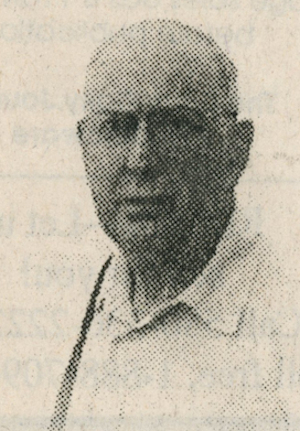 He returned home to Perry in 1966, where he began farming and ranching. In 1996 he went to work for Charles Machine Works retiring in 1999 and moving to California. Memorial Services were held in Pasadena, California on Monday, October 21, 2002 at 2:00 pm at the First United Methodist Church of Pasadena, California. A Memorial Service will be held Wednesday, October 23, 2002 at 2:00 p.m. at the First United Methodist Church, Perry, Oklahoma with Rev. Ron Weathers officiating. Memorials may be made to the USC Cardiothoracic Research Fund, C/O Brown-Dugger Funeral Home. He is survived by his spouse, Willa of the home, two daughters, Debbi Dalrymple and partner Patricia of Enunclaw, Washington, Cheri Erlick and her husband Erick of Pasadena, California, mother Hazel Busse of Perry, Oklahoma, three sisters Marilyn Eby and her husband Jay of Prescott, Arizona, Phyllis Oliphant and her husband Otis of Norman, Oklahoma, Jan Billingsley and her husband Gary of Perry, Oklahoma, two grandchildren Erica and Sean Erlick of Pasadena, California. He is preceded in death by his father Don, one brother Donald Lee and an infant daughter.